I am very excited to see all of you on the first day of Hebrew School, Sunday. 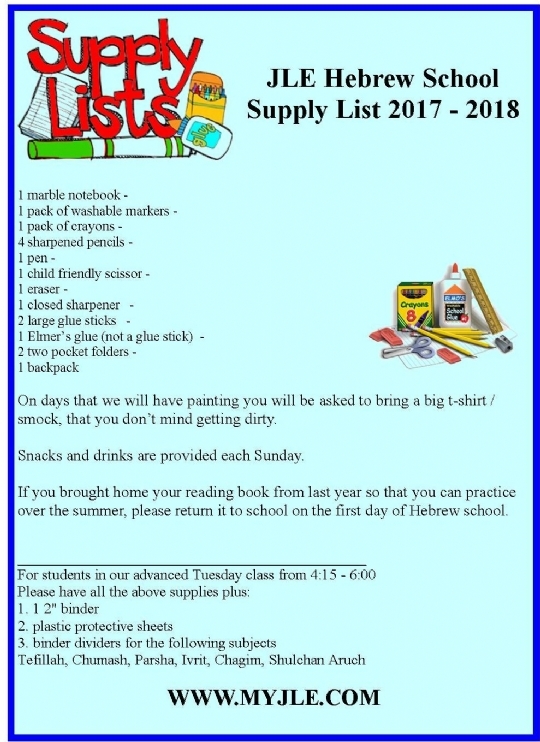 Below is a supply list, please ask your mom or dad to help you purchase the items below and remember to bring them with you to Hebrew School on the first day of school. Please note that many of your Hebrew School supplies listed below will remain in your Hebrew School cubby for the duration of the year. 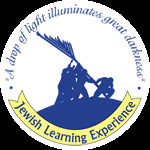 If you brought home your reading book from last year so that you can practice over the summer, please return it to school on the first day of Hebrew school.